Forget Justin Bieber. If you were a teenage girl (or maybe even older) in 2004 and beyond, then we’re betting you probably had a crush on Jesse McCartney. If you didn’t, you at least saw him covering all the teen magazines. 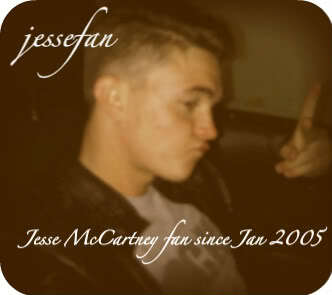 Well, it’s now 2011 and Jesse is 24-years-old and has established himself as a respected singer, songwriter and an actor. He’s even made a women’s fragrance that you can find at wantedbyjesse.com. Jesse stopped by our studio yesterday where I had the chance to sit down with him to get all the scoop on Beware the Gonzo, rumors that his pilot “Locke & Key” might get a home, his fragrance, and that album, Have It All, that fans have been eagerly awaiting. You have a new movie out right now. What attracted you to Beware the Gonzo? The script initially. It was written by Bryan Goluboff and knowing his track record as a writer is really what sparked my interest. He wrote one of my favorite films of all-time which was “The Basketball Diaries.” That movie was maybe one of the single reasons why I wanted to start acting. It was kind of like a dream role to play that kind of guy. So I fell in love with the writer and the writing, then the character that he wanted me to play was “Gavin Riley” who is the antagonist in the film, who is the senior editor of the high school paper. A bright kid. Kind of your star student, everything, Mr. Over Achiever. What I liked about him though is that he’s not your typical jerk that you see in many high school films. There’s a vulnerability to him and a redemptive quality that you see towards the end. It was one of those films where it had a nice arc to the character. Then when I heard who else was signed on (Ezra Miller & Zoe Kravitz), it just seemed like a really great group. Are you more drawn to indie movies than the big budget blockbusters? Yeah, I love them because you’re working with a group of actors and filmmakers who really want to execute a great project and not worry about necessarily what the audience is going to think. They’re really about putting something amazing on film. “Keith” for instance, the message was just so powerful. I think that’s really, when it boils down to it, that’s what it’s about. It’s not about the commercial aspect of it. It’s about the message that they’re trying to get across. Besides the movie, you also did a pilot for FOX called “Locke & Key” which wasn’t picked up. Rumors, though, have surfaced that other networks like MTV are interested in it. We’ll see. I’ve been hearing this too. My agents and I are back and forth on the phone every day to hear what’s going on. The trouble with that pilot is it’s so expensive to make and keep on the air. The final product was beautiful. It was shot by Mark Romanek, I think one of the most innovative directors in the game right now. He put together an eerie but beautiful pilot. It was great and I got to play a role that was very dark and it was really an amazing experience. Hopefully it lands somewhere. It would sad if it didn’t find an audience. So what if they decided to make it a feature instead? I think they’ve talked about that and it’d be amazing. The graphic novel, there’s plenty of information to turn it into a film. Even without a network, the pilot premiered at Comic-Con this year. What was that experience like? It was unreal and the reaction was huge and amazing. The fans loved it. They added another screening because the first was sold out in minutes. Then we got to sit on a panel with the director, the writers, the producers, and some of the actors. It was really cool to see the fans reactions to the pilot because it was such a huge graphic novel and Joe Hill is such an amazing mind. He’s Stephen King’s son and he really put together something fantastical. Moving away from acting now, you have a new fragrance called “Wanted by Jesse.” What made you want to step in that direction? I’ve always been a fan of fashion and that world. I think that music and fashion go hand-in-hand and it was a way for me to give my fans something other than music. It was a way to sort of expand my horizons. It was my first attempt at putting out a fragrance and it’s a women’s fragrance, which I think is kind of cool. Not a lot of men, unless they are fashion designers, have put out a woman’s fragrance. It’s online right now in the US and in stores internationally. Hopefully in the new year, we’ll have it in department stores here. So it is a women’s fragrance. How would you describe it? It’s not your typical fruity, light, feminine scent. I actually like when a girl wears her boyfriend’s cologne and I wanted that as the basis or foundation of what this would smell like. It actually has some masculine over tones to it. It’s a little muskier than normal but it still maintains a floral scent as well so it keeps it feminine. I’m really happy with how it turned out because the mixology behind it…we literally went through over 100 different scents before we pinpointed it. I know that your fans, including myself, have been eagerly awaiting your album Have It All. The release date has changed a few times. Are we ever going to get our hands on the album? I promise that that album is coming out. I decided after “Shake” was released that I kind of had stage fright and I didn’t do what I wanted the album to do. It was just an artist decision but on top of that there was some stuff going on behind the curtains with the record company. There were a lot of changes going on and that also put a hold on the album. So, it wasn’t just me! All the dust has settled and they are fully behind this album and I think we’re going to release something either at the end of this year or early next year. But it will be coming out. I asked them to please be patient with me. It’s coming. How will Have It All compare to your previous albums? I can tell you this: I’m trying to bring back some of the early Jesse McCartney in the sense of the music that you heard back then. It has more of a singer/songwriter aspect but to a pop/urban sound/track. A lot more in-depth writing. It’s not just all going to be “throw your hands up, lets party.” There’s going to be a lot of depth to it and a lot has gone on in my personal life that has given me a lot to write about. So I’m really excited about that. That sounds great! I feel a lot of music lately has been lacking that. When you turn on the radio, so many of the songs just sound the same and there’s no real depth to them. I can’t deny the radio sound. I want it to have a radio appeal but I wanted the lyrics to still say something. I feel like you said, that’s been lost in the last 5 years especially. I’m trying to maintain that integrity. You’ve had a long career in music and have written a lot of songs. Is there one song in your career that you’re most proud of? There’s a few but I think my proudest moment in songwriting was a song that wasn’t actually for myself but for Leona Lewis in 2008. Alongside Ryan Tedder, the two of us wrote “Bleeding Love.” At first, we felt like it was a great song but we didn’t really know who or what it would be for because it wasn’t cohesive to my sound or album. Six months after sitting on my laptop on the hard drive, Simon Cowell called and said we need a big pop ballad and a light bulb went off. We sent him “Bleeding Love” and had no idea it was about to do what it did. It won Song of the Year at the ASCAP Awards and I think it really validated me as a songwriter. That is such a great song. Finally, do you have any message for your fans? Thank you. I’m 24-years-old and I had a moment the other day where I was sitting around thinking I’ve really been doing this for so long and they’ve [the fans] really been there every step of the way, whether it’s waiting for a film or an album to come out. An album that should have been out a year ago. It’s really nice to know they’ve stuck by my side. I couldn’t do this at all without their love. They allow me to live out my dream. It’s really nice. If you want even more Jesse, you can watch his full live chat here and check out the highlights below. His film, Beware the Gonzo is now playing in NY and will make its way to LA later this Fall. It is also now available via Movies-On-Demand. Once again Jesse is greatful for his fans! Love him!! !